If you're looking to get some practice for a long-range shooting competition without going broke, this match grade load from Prvi Partizan might be the answer. In business since the 1920s, Prvi is Serbia's largest manufacturer of military and hunting ammo, and currently produces all of its ammo with non-corrosive primers and reloadable brass cases. 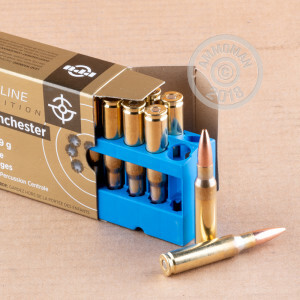 This case of 200 rounds, packed in 10 boxes of 20 rounds each, uses 168 grain full metal jacket bullets and is made with extra care to give precision shooters the accuracy they demand. 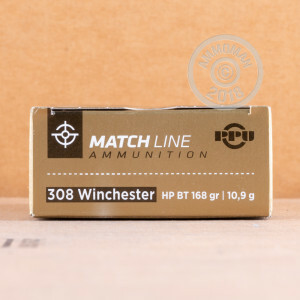 Great for your FALs, M-14s, and other .308 Winchester rifles. The up-front price listed here includes free shipping direct to your door, as with all orders over $99; no gimmick prices combined with exorbitant S&H here!